Senator Elizabeth Warren warned the incoming Trump administration that she and other Democrats would fight a move to fire the head of the Consumer Financial Protection Bureau, which she helped create. Warren -- along with Democratic Senators Chuck Schumer and Sherrod Brown -- said in a joint conference call Tuesday that they will do everything they can to prevent Trump from dismissing Richard Cordray, the head of the CFPB. 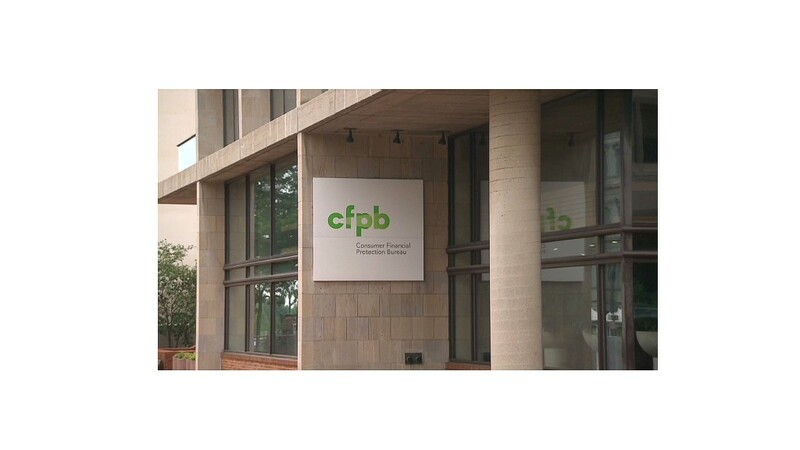 "The CFPB is on the verge of finalizing three critical laws," Warren said, referring to rules on debt collection, payday lending and forced arbitration. She said firing Cordray would be a "huge handout to [bank] lobbyists." Cordray and the CFPB have taken on big banks like Wells Fargo as well as shady payday lenders. The Democrats' press call came one week after two Republican senators, Ben Sasse and Mike Lee, called on Trump to fire Cordray as one of his first acts as president. They argue the agency has become too powerful. Trump is reportedly eying Congressman Randy Neugebauer to replace him, a man who has publicly lobbied against Cordray's payday lending regulations. Schumer said giving the CFPB reins to Neugebauer would be like putting "a sharp-toothed fox in the chicken coop." Schumer also claimed that firing Cordray would be illegal because the law that established the CFPB, Dodd-Frank, says the director cannot be fired without cause. Cordray's term doesn't expire until July 2018. "There is no cause other than something that would be trumped up, manufactured," Schumer said. But the CFPB did receive a blow in October when a federal court ruled that its single-director structure is unconstitutional, and Republicans have latched on to that as another reason to take down the bureau. Warren said she and her colleagues would fight back against any move to get rid of Cordray. She said the Democrats would call on civil rights groups and labor unions to wield a publicity campaign against the decision. "This consumer agency was built for the people," Warren said. "Democrats will stand up and say 'no.'" "[The Republicans] know they'd be on the wrong side of public opinion with this one," Brown added.